The Spring 2016 Henry Wolf Chair in Photography Lecture will be delivered by Sara VanDerBeek A'98, best known for photographing sculptures of her own making. It will be held in the Peter Cooper Suite, in The Foundation Building and is open to the public. 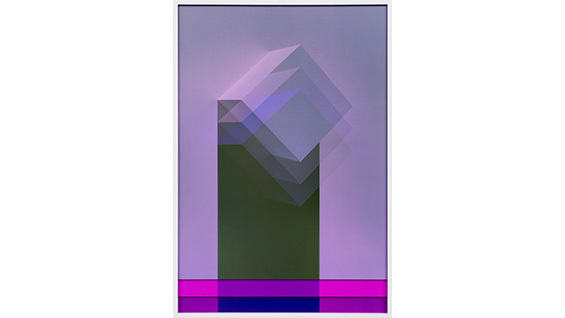 Sara VanDerBeek lives and works in New York. Recent projects include solo exhibitions at the Baltimore Museum of Art and the Museum Boijmans van Beuningen, Rotterdam, NL. She has also had solo exhibitions at the Hammer Museum, Los Angeles, the Whitney Museum of American Art, Metro Pictures, New York, Fondazione Memmo, Rome, Altman-Siegel, San Francisco, and The Approach, London. Her work has also been included in various group exhibitions including: Photo Poetics: An Anthology, Guggenheim, New York, Amazement Park: Stan, Sara and Johannes VanDerBeek at the Tang Museum, Saratoga Springs, New York, and Knights Move, Sculpture Center, New York, as well as The Museum of Modern Art’s annual exhibition, New Photography in 2009.